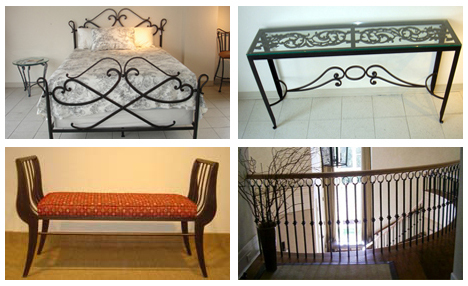 We are a Manufacturer of unique wrought iron furniture in Toronto for more than twenty years. What is the process? Visit our showroom or e-mail/fax us your idea’s, pictures or dimensions. We will prepare a quote and have your custom piece ready within four to five weeks. Our knowledgeable staff strive to ensure every client is satisfied with their experience and with the end product! We encourage you to ask for testimonials from clients, designers and establishments who have chosen us.